Product prices and availability are accurate as of 2019-03-02 20:38:29 UTC and are subject to change. Any price and availability information displayed on http://www.amazon.com/ at the time of purchase will apply to the purchase of this product. The Cuisinox Electra crepe pan is the perfect accessory for the gourmet breakfast chef. 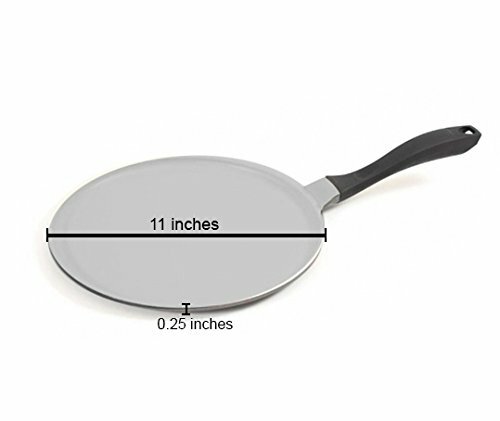 This pan, with its shallow and slanted sides, is designed for easily flipping crepes. The heavy-gauge, cast aluminum crepe pan distributes heat evenly, it conducts and retains heat exceptionally well. Its ferromagnetic base makes it compatible for all induction cook tops. 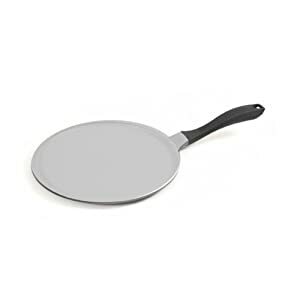 The long, ergonomic, stay-cool handle is well balanced while the 3 layers of non-stick coating provides effortless release of foods and easy cleanup.